It’s time for some Earth Day fun! 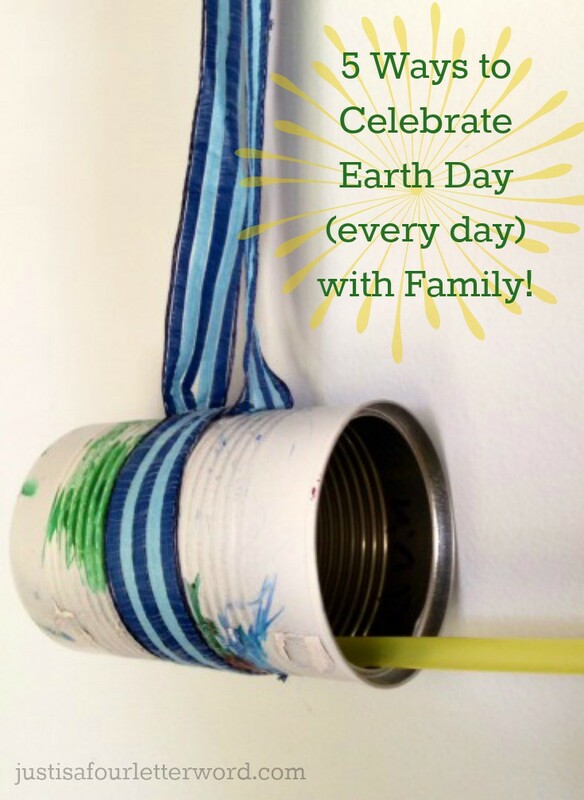 There are many activities you can do as a family if you want to recognize this special day and talk about ways we can take responsibility for the way we treat our planet. But it doesn’t mean everything has to be a teaching moment. In fact, I see Earth Day as a great excuse to unplug and just enjoy each other! Have a Picnic! Need lunch plans? Why not pack up some sandwiches and head outdoors for a picnic lunch? I want to do this with the boys soon because we finally have some beautiful weather! Feed the birds (or build a feeder) This weekend, Jerry and Oscar refilled all our birdfeeders. We love bird watching and now that Spring is here, we want them to hang out close by. Don’t have a bird house? You can make one! Calvin brought home this super simple craft from school the other day. Take an empty, clean soup can and glue a straw to the inside. Let your child decorate the can and fill with seeds. Attach a ribbon to the can and hang from a tree branch. Turn off all the lights/screens for one hour After dinner tonight, why not turn every light and screen off for one hour and see what happens? You’ll save a little electricity and have a chance to connect! What will you do? Tell stories? Sing songs together? Make smores by candlelight? Time to get creative! 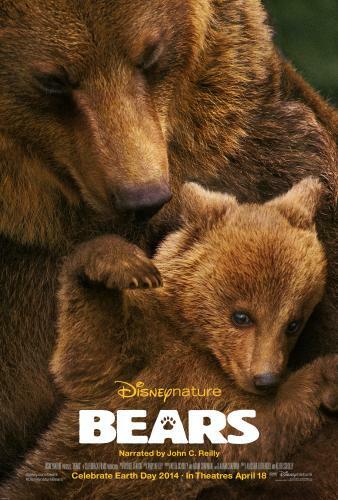 Go see Disneynature BEARS When we last visited Disneyland, we were treated to a screening of the Disneynature movie BEARS and let me tell you, it was awesome! Not only was the imagery stunning, but the story of a mama bear and her two cubs in their first year of life was heartwarming. It’s a great family movie and if you are looking to get out of the house, a lovely way to enjoy an evening together. If you’ve already seen the movie, print out some of these free activities and do them together! 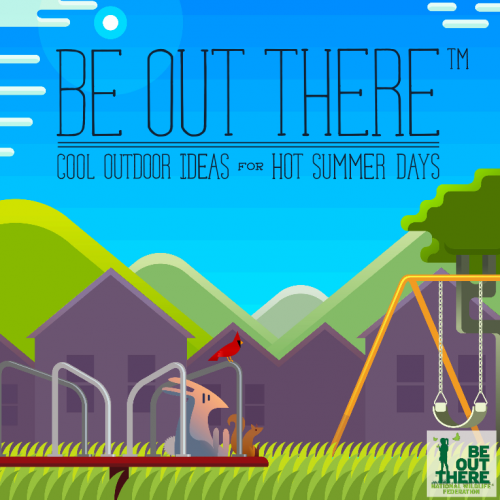 Download the (free) Be Out There ebook! I had the privilege of co-writing this fantastic resource for getting families outside while the good weather lasts. I was among some really creative other bloggers and we partnered with the National Wildlife Federation to create this beautiful and FREE ebook full of fun ideas. Download it here. Do you have plans for Earth Day? Share them in the comments and let’s help each other celebrate! Post originally appeared in 2014. We LOVED the Bears movie! And I definitely want to do some outdoor crafts with Evan this year! Yes! I am ready to be outside after our eternal winter. Bring it on! I’m loving the weather right now! Can it stay this way all year? Very clever bird feeder and perfect to teach kids on Earth Day. Such fun ideas! And my kids are on spring break all week, so we will definitely be doing some of these!